A Houston-area restaurant could hit the big-time in the coming week. The owners of Press Waffle Co. will appear on Shark Tank to pitch national development of their brand. Brothers Bryan and Caleb Lewis, who co-founded Press Waffle in Dallas in 2016 and expanded to Friendswood in 2018, will appear in an episode of the TV show, which airs at 9 pm March 24 on ABC. No word yet on whether they won; we'll have to watch the show to find out. According to Bryan Lewis, this has been in the making for a while. It took two years and multiple auditions in person, over video, and on the phone before they got the call. "We have always dreamed of walking into the Tank, even before we had a company of our own," he says in a release. "We have huge goals for this company and are ready to roll out our franchise model across the country, so getting on Shark Tank couldn't have come at a better time." Press specializes in authentic Liege waffles — dough-based waffles with a brioche-like texture, with caramelized clusters of Belgian pearl sugar in every bite. The dough makes them unique, resulting in a denser, thicker, and sweeter treat; most waffles are made from a batter. 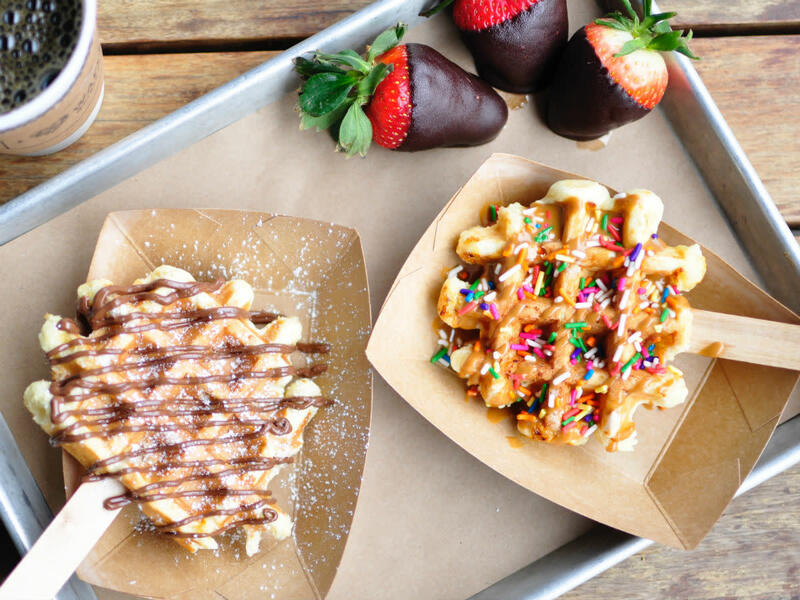 Every waffle is customizable and can be served with a variety of fruits, sauces, and whipped creams. Press also offers unique monthly specials such as its limited-time Cereal Waffles and savory selections like its bestselling Chicken & Waffles. The brothers launched their venture in 2016 as a food truck, with financial help from a kickstarter campaign. They opened their first location in Plano's Legacy Hall in 2017, then opened a location in Fort Worth's Food Hall at Crockett Row and Baybrook Mall in Friendswood in 2018. A fourth location is in the works for Oklahoma City. Caleb Lewis says that being on TV made them "nervous, slightly panicked, and I was uncharacteristically sweaty. [But] take away the cameras and crew, and we were simply going into a room to talk about our business, just like we do every day."